Full Service Off-Site Document Storage. Secure, Climate Controlled, centrally located in Garden City, NY. 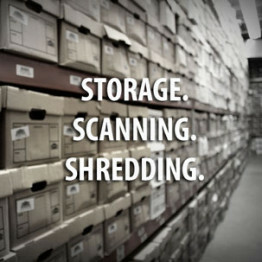 Off-Site Commercial & Residential Document Shredding including X-Rays, media & more. All items processed at our Garden City facility. Drop off and viewing hours available. Enterprise Content Management, E-Forms, Document Workflow, Document Scanning. 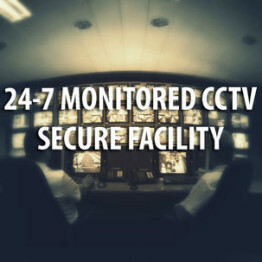 Your critical Data Secure Off-Site and Manageable with scheduled daily/weekly/monthly rotations. Your critical Data Destroyed: Hard Drives, Tapes, PC’s, CD’s, Floppy’s and more. Picked up, Secured and destroyed. As of 2018 National Archives works for over 500 businesses on Long Island & NYC. As of 2018 the amount of paper stored at our facility is approx. 5,409,245lbs or over 2,700 tons. Did You Know- On Avg National Archives shreds approximately 900 tons of paper per year. I manage a records department for one of the top law firms on Long Island. I send my files for storage at National Archives. They have a wonderful staff and show a great amount of professionalism and courtesy. I always get my files on time and always get a phone call to make sure everything is ok. In this day in age National Archives brings back that old school feeling of doing business with a handshake and they honor everything they say. If more businesses were to conduct themselves in this manner businees relationships would last forever. Everyone I have come in contact with, over the phone and in person, has been friendly and courteous. 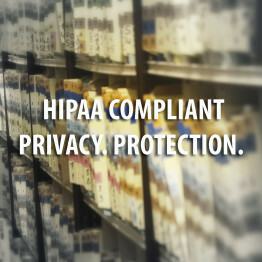 Whenever I have called to request a file, they have been able to locate it and get it to us within 24 hours. I am very happy with my dealings with them. We love your service – you guys are very efficient and accommodating. Every one of your guys who deliver the files or pick up the files are professional. I am in the HR Dept for a Pediatric Homecare Agency in Hicksville NY and would highly recommend this company. They are very efficient and their customer service skills are excellent. They make my life so much easier for storing personnel files. Thanks Brad, Chris and the rest of your team who always deliver at short notice. Thanks again. I have been very pleased with the professional manner in which our account is handled from the onset. To date your pricing, billing and service have all been managed accurately, efficiently and courteously. I would gladly refer others to your firm.